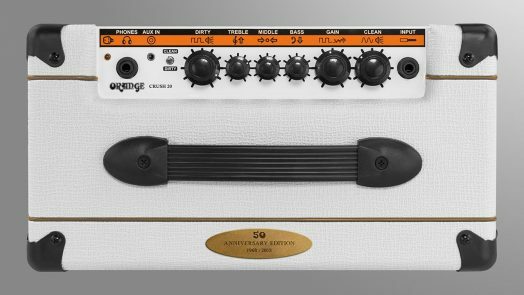 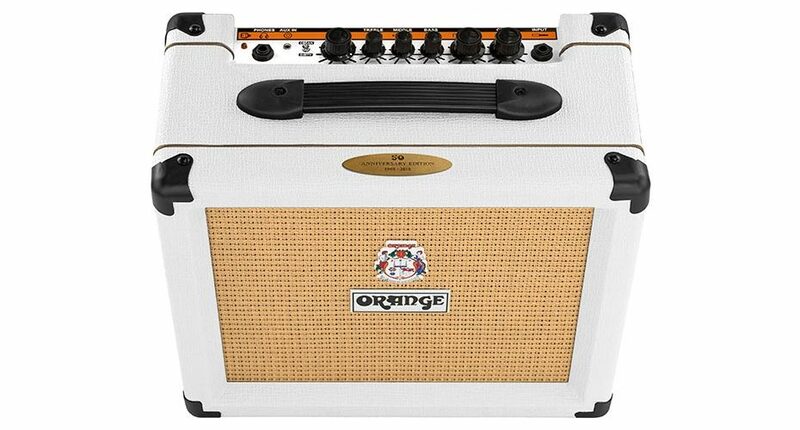 To celebrate its 50th Anniversary Orange Amplification is issuing a limited edition White Crush 20. 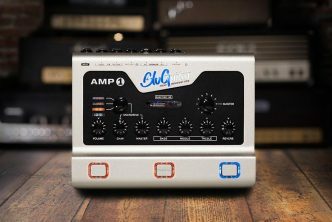 When they were launched in 2015, the classic analogue tones of the Crush Series of amps redefined the term for ‘practice amps’ by offering a genuine alternative to digital modeling. 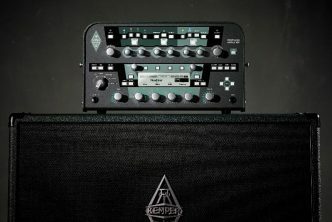 These acclaimed solid state amps are now found everywhere. 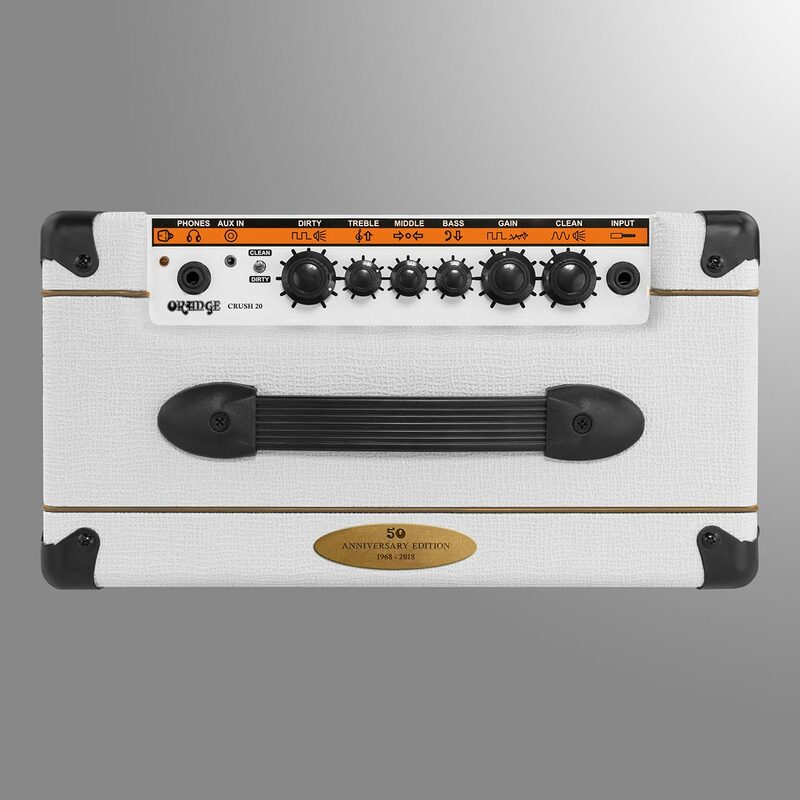 The compact and portable Crush 20 has an uncompromising approach to guitar tone that produces a sound far greater than its size suggests. 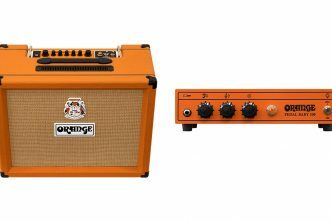 The versatile, workhorse of an amp produces a spectrum of Oranges distinctive British tones, with its simple and intuitive controls. 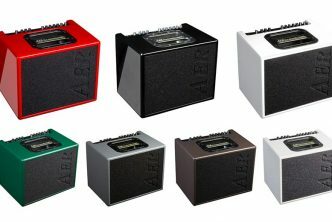 Small and lightweight, the powerful Crush 20 delivers a tube-like sound quality and performance at an affordable price. 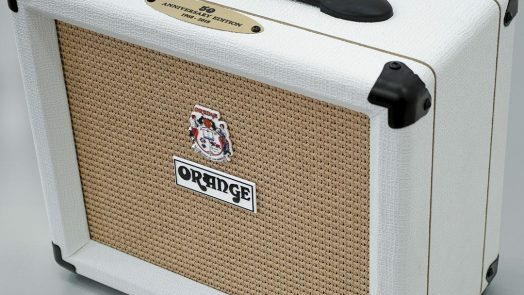 For a limited time only the Crush 20 will be available finished in a pristine white basket weave vinyl topped with a commemorative Orange Amplification 50th Anniversary plate. 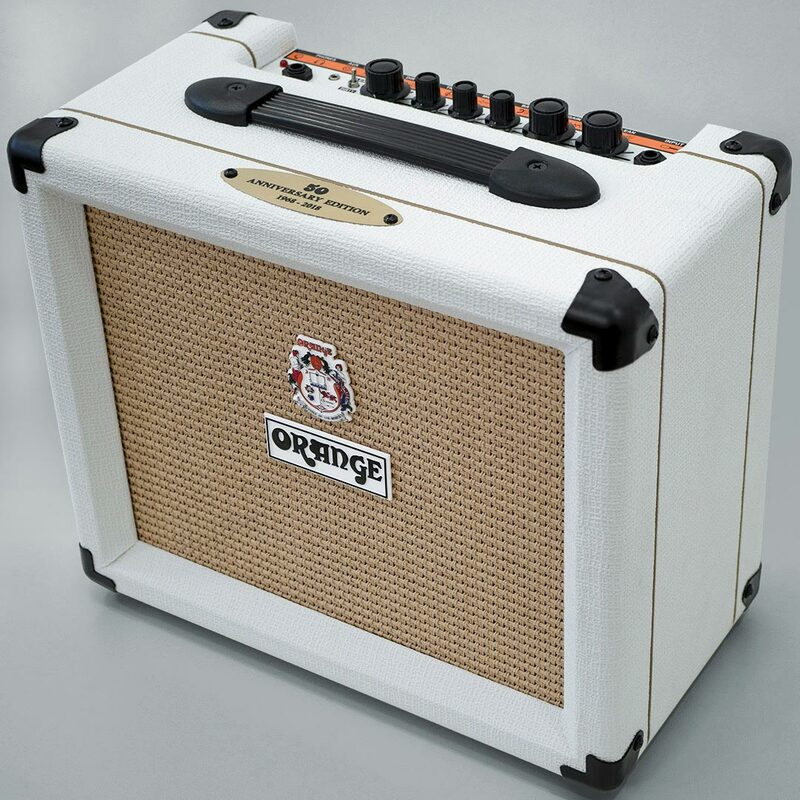 It may look innocent, but appearances can be deceptive!